this is about 2 new tracks. some acid house and disco tunes are always interesting. 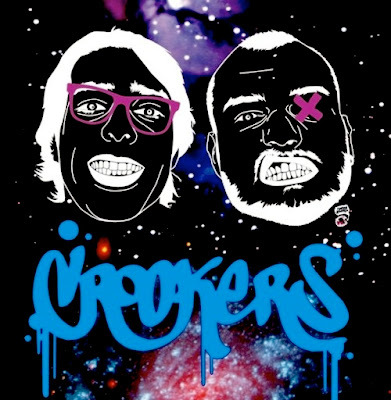 1.Crookers feat. Soulwax & Mixhell - We Love Animals: Although i was not into the Crookers album,their new track really got me.A crazy intro leading into acid house/electro with great sounds.Of course Soulwax couldn't stay out of this,i wonder if these guys have done something that is just not good,they're the masters.Excellent work,a true banger. 2.Jackson Glass - Pole Dancer: A nu-disco tune.This kind of movement is still alive,at some level it is transformed into disco classics,and for those of you who are denying it,i bet you all danced into Aeroplane's remix on Sebastian Tellier's "Kilometer".If you loved it,then you will surely love this one.